A brief upset in the otherwise uneventful flight reveals a widespread and unappreciated aviation hazard. It was an event that according to Boeing happens every 2.0 seconds—a 737 airliner taking off or landing somewhere. But this landing approach, by two Spanish pilots, contracted to an Irish low-cost carrier, was different. 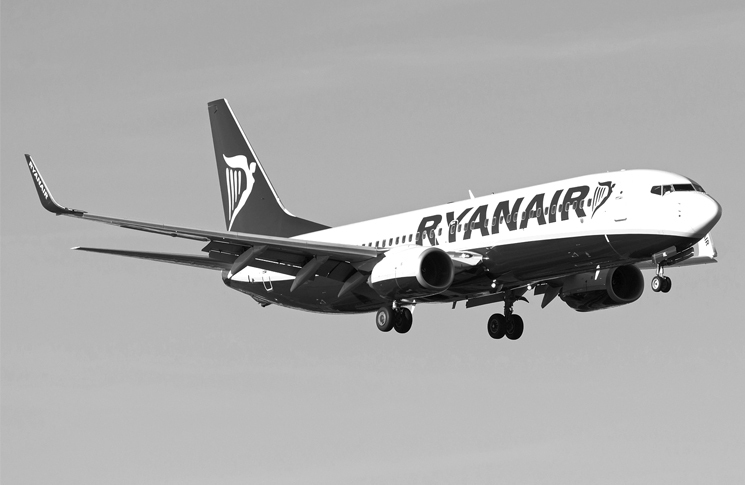 The Ryanair 737-800 approached the busy airport at Eindhoven, in the Netherlands, on 31 May 2013. 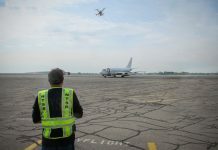 The aircraft was on final—intercepting what its crew thought was the three-degree glideslope—on autopilot, in instrument meteorological conditions. Without warning, it pitched up to the extent that the stick-shakers activated. (The stick shaker is a mechanical warning device on large aircraft, that by mimicking aerodynamic buffeting, warns of an impending stall.) Altitude was 1267 ft above ground, airspeed dropped to 97.5 kt and pitch angle reached 26 degrees. This was a serious, potentially deadly incident, but an alert crew taking immediate action to recover averted it. The captain, who was pilot monitoring, called for a go-around, and simultaneously the pilot flying pressed the take-off-go-around (TOGA) button an instant before the first of two stick- shaker activations. They landed uneventfully on the next attempt. In the deliberately dry language of accident investigation, the Dutch Safety Board described the stick-shaker activation (or, to be blunt, incipient stall) at low altitude in IMC as ‘a factor of interest’. The Board investigated the incident and reached some interesting, if unsettling, conclusions. 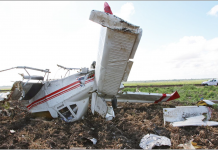 False glide slopes were a more serious issue than had been thought—not least because many of them incorporated signal reversals that suddenly command a descending aircraft to fly up, and risk stalling. A glide slope, as most readers of this story would know, is the vertical guidance part of an instrument landing system (ILS). Directional antennas transmit two radio signals, one at 90 Hz and one at 150 Hz. 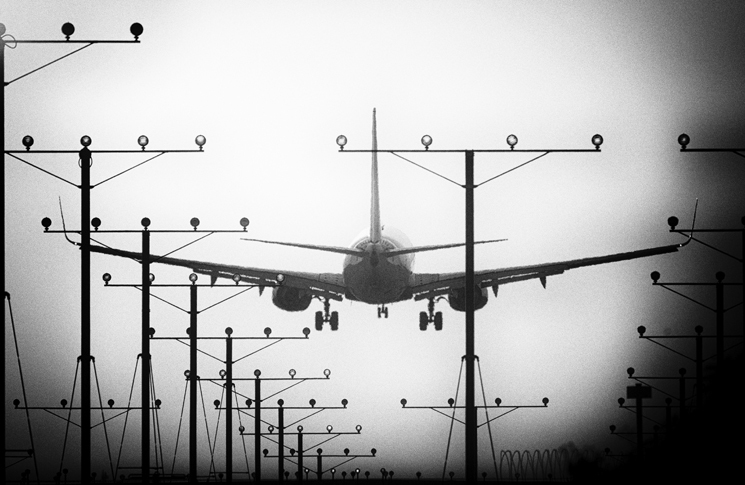 The aircraft’s instruments interpret the 90 Hz signal ‘fly down’, and the150 Hz signal as ‘fly up’. In very broad terms, the zone where the signals overlap and interfere with each other forms an invisible three-degree slope to the runway. A characteristic of this system is that there are other, weaker signals at six and nine degrees. False glide slopes are a known and, it was thought, minor hazard. The consensus was that a false glide slope would guide an aircraft to the runway, at a steeper angle of descent and a higher descent rate. It was presumed a crew would notice this and abandon the approach. But in investigating the Eindhoven incident, the Dutch Safety Board (DSB) discovered ‘the characteristics of the instrument landing system did not match common theories about false glide slopes’. The DSB found that incidents of this type had occurred before—four in Europe, while 19 incidents were found in a US database. A common factor linking these events was discovered to be the M-Array antenna, which is in use around the world, including in Australia. 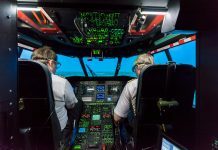 The DSB conducted flight tests—covering a wider angle than the standard 5.25 degree ILS flight test—and discovered false glide slopes were associated with the manifestly dangerous phenomenon of signal reversal. It had been a busy approach to Eindhoven that morning. The flight had been vectored to fly closer to the airport than normal, flying a shorter downwind leg (roughly parallel to the runway) than on the published approach. This was however, requested by ATC, and was consistent with its discretionary power to coordinate traffic flow. But in addition there was a northerly wind—unknown to ATC—that pushed the aircraft closer to the runway when it turned onto base leg (roughly at right angles to the runway centreline). As a result, when it turned for final approach it was high, and the crew had to lose altitude as quickly as safely possible. They had to intercept the glide slope from above, ‘dropping in’ on its signal. Intercept from below is the preferred practice, but intercept from above is allowed, and sometimes used in busy airspace. Noting the busy cockpit condition, the captain said to the first officer that a landing seemed unlikely and they should be ready to go around. Decision height was 1000 ft above ground. Ten minutes after landing, the captain called Ryanair’s duty pilot asking for the flight recorders to be preserved. Based on what the captain said, the duty pilot considered the event to be a minor occurrence, probably turbulence-related, and declined the request. The aircraft took off again, on schedule, half an hour after landing. However, when Ryanair became aware of the seriousness of the incident, after reviewing flight data four days later, it immediately contacted the DSB. The DSB said automation use had played a role in the incident. The other conclusion from this incident is one that has long been applied to individual pilots, but applies to aviation as a whole. Hazards are hidden and evolving, and the moment of greatest danger comes just when you think you know it all.